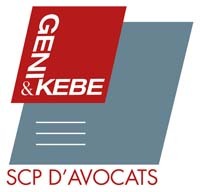 Mouhamed Kebe is the managing partner of Geni & Kebe, a full-service law firm based in Senegal with 15 affiliate offices across Africa. His practice encompasses corporate and investment law, with a particular focus on natural resources (mining and energy). Top-tier ranked in Chambers global as leader in his field, Mouhamed is also highly recommended as a leading lawyer in the IFLR1000: Energy and Infrastructure guide (2014). He is closely attuned to foreign investors’ concerns about doing business in Africa. He also oversees commercial transactions including joint ventures, banking and finance corporate reorganisation, and restructuring. Mouhamed graduated from the University of Dakar Cheikh Anta Diop (Senegal) and the University of Essex (United Kingdom), and earned a certificate in international commercial and investment arbitration from the University of London. 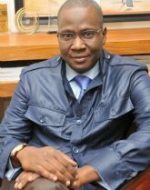 He is qualified with the Senegalese Bar Association (1993) and is a member of the Law Society of England and Wales (international division), the American Bar Association and the International Bar Association. He regularly speaks in seminars and workshops on issues relating to investment and doing business in Africa, and has authored many studies and articles on mining law. He has seconded in major law firms based in Paris and London. He is fluent in English, French, Wolof and Arabic.